Who can apply? Roundtables are open to all NAWBO Columbus Premier Members. When do they meet? Each group will meet regularly and determine the best meeting times, locations and schedule. What do they do? The groups set their own agenda based on business owners’ needs or resources from the NAWBO Resource Bank. How long does Roundtable placement take? The waiting period after applicaztion submission varies depending on current Roundtable openings. 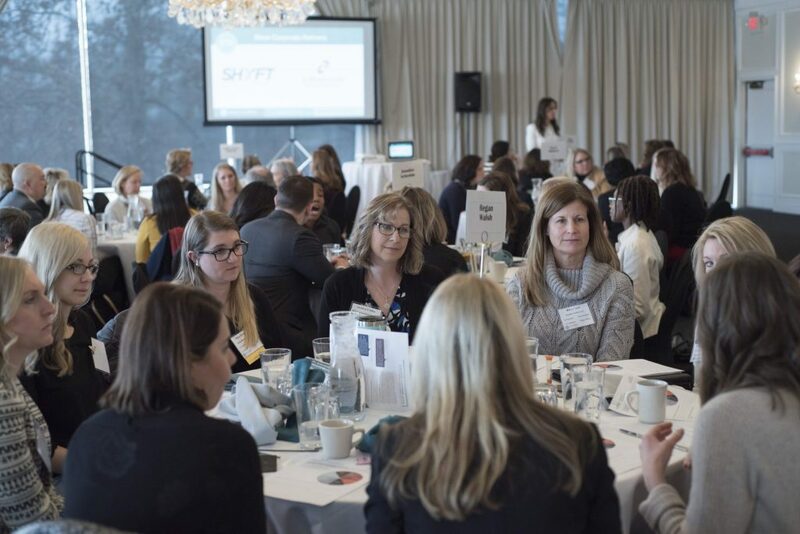 The NAWBO Columbus Roundtables program provides both first-time and experienced business owners with a confidential, supportive venue to share ideas, insights, advice, and inspiration. Each Roundtable consists of 5-9 women business owners who meet monthly to discuss the individual challenges, concerns and triumphs that come with owning your own business. Each of the participants is a woman who understands the pressures of business ownership and has relevant experience to share. We currently have general roundtables for all types of businesses, no matter the size or how long you’ve been in business. Roundtables are complimentary and are one of the many benefits exclusively available to NAWBO Columbus Premier Members. Please read our Roundtable Rules of Engagement before applying.